The mural is located on 128th St. and 2nd Ave. and it was done in response to the crack epidemic in NYC. It was done without permission, but is now protected under the City Department of Arts. I think that kids will pass by the mural and immediately be drawn to it. They will think that it is just a fun drawing but then see that there is a serious message behind it. 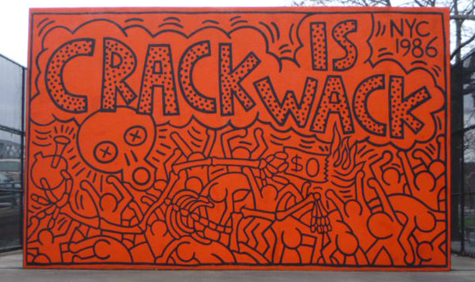 Haring’s work usually illustrates social issues. they are in your face and usually call out to you. To see more of his work visit his website at http://www.haring.com/.